I can’t recall exactly when we first became acquainted with the Marimar wines, but I certainly remember our meeting with Marimar Torres at her winery about a year and a half ago. 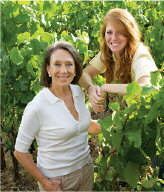 We sat alone with her and her sales rep in her large tasting and dining room at the winery in Sebastopol, California. It was a beautiful spring day, sun shining, leafy green vineyards all around, a parade of elegant wines on the table and a gracious and passionate hostess telling us about her life’s work. We were captivated. We have been selling her wines ever since. She grows only Chardonnay and Pinot Noir, just like they do in Burgundy. Her wines are sophisticated, deep and balanced – wonderful by themselves and outstanding with food. They are exactly the kinds of wines Terry and I treasure both for ourselves and our gift baskets. 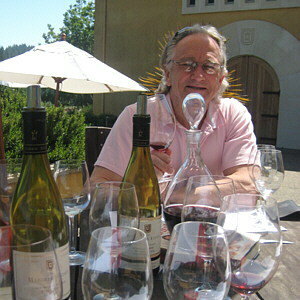 A member of her staff dropped in to see us the other day and we were blown away by the wines again. And we bought a lot. We think the La Masia Pinot Noir, from the Don Miguel vineyard (named after her father), is an incredible wine for the price and we are featuring it in many of our wine gift baskets. Treat yourself to some as well. You’ll be very happy you did when you’ve got a glass of this wonderful wine in your hand.